Speaking of ride vids, check out this downhill video from the alps. Needs a sound track, though! Something heavy and fast. I like how the lead rider almost pushes that dude in the hoodie off the trail when he wouldn't give way early on. 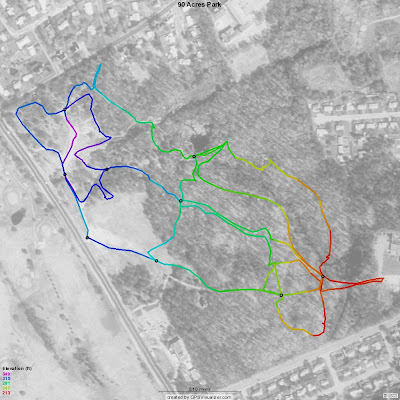 Here is the map from yesterday's ride. After the trail building, Tren, Chip, Donnie, Rich, John, and myself did a five mile loop in Upper Paugussett State Forest. 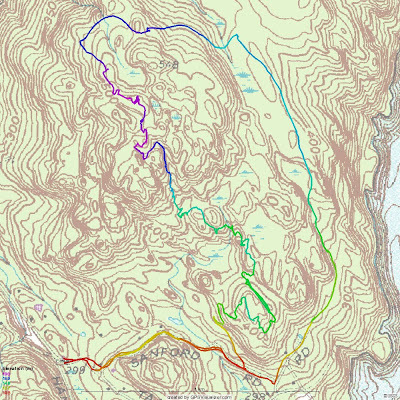 The ride included sections of the Brody Forest Road, the Mullikin Trail, and for the most part the entire Upper Gussy Trail. There was a lot climbing, lots of climbing! At the start of the main section of the Gussy Trail, Donnie looked like he was about to die. Tren, Chip, and I think Rich, made the steepest climb on the fire road. I bailed a quarter of the way up - lost traction on a sketchy line (best excuse I can come up with). I have highlighted the points where the video was shot. Yesterday's Trail Building effort created a new rock garden/wet spot crossing #1 where we shot the first sequence of video. 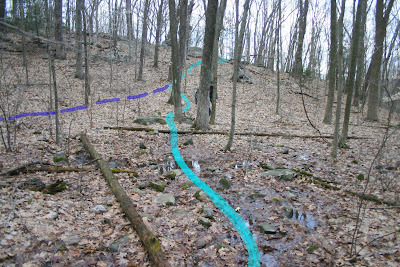 The second sequence is at a five to six foot roller where the Upper Gussy Trail crosses the Blue Blazed Trail. This video differs from the one in the previous post by one scene where I took out one of three scenes with Chip and replaced one that I forgot to put in of Rich. Plus, a different soundtrack. I have highlighted the points where the video was shot on the map above. Yesterday's Trail Building effort created a new rock garden/wet spot crossing labeled #1 where we shot the first sequence of video. In the initial sequence Donnie goes OTB and belly flops onto the rocks - OUCH! I make my first attempt but tanked it by coming out too wide and missing the flat rocks, couldn't get my clipless pedal engaged - I know, I know another lame excuse. My second attempt was much better. Donnie makes another attempt both ways and blows it, but finally cleans it. Everyone else did really well. 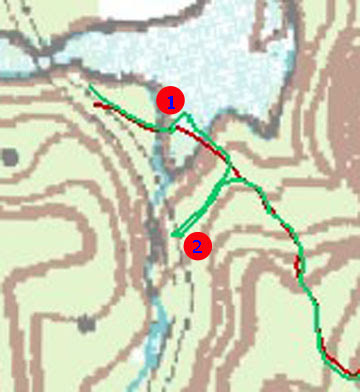 The second sequence is at a five to six foot roller where the Upper Gussy Trail crosses the Blue Blazed Trail. This video differs from the one in the previous post by one scene where I took out one of three scenes with Chip and replaced one that I forgot to put in of Rich. Plus, a different soundtrack. Music by Drowning Pool, Bodies. Here is a Vid compilation from today's ride after the trail maintenance on the Upper Gussy. Music is by Exodus, Live in Sacramento 1999, Brain Dead. Kind of a cross post but trying to get the message out to all readers. 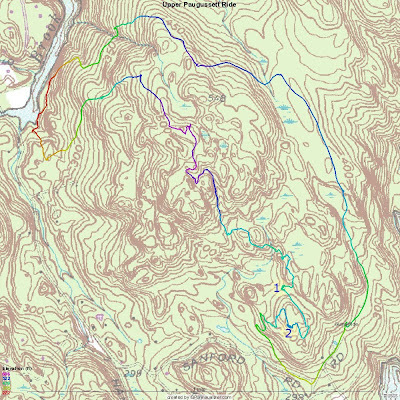 I have an aggressive schedule laid out for completing The Upper Gussy Trail. Contact me at eatsleepfish@gmail.com for more information, and of course check back here for up to date information for each event. Took the 'Horse out for this ride and to quote my British colleague at work, the shifting is still dodgy on this bike after it's tune up. Otherwise, the bike road nicely. Took easy getting to Sanford Rd but once I hit the dirt, I took off. 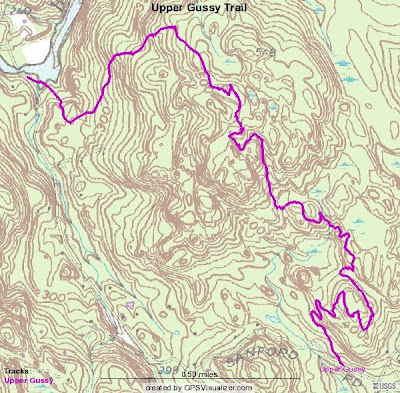 Met a hiker at the Echo Valley lot and we chatted a bit - told him about Upper Gussy. Hit the flat rock right after the gate and almost went endo. Tried it again and cleaned it nicely. I think this is the first time I rode the 'Horse in this direction on the Brody Road and climbed really nicely. I stopped along the way and took various trail shots with my new camera. It's a Polaroid t830, 8 mega pixels, does movies, records sounds, and has a ton of features that would rival my Canon. The Brody road was wet in a few areas but the gravel bed made it still ride worthy. Below is shot of the 'Horse at the downed pine tree on the Upper Gussy. 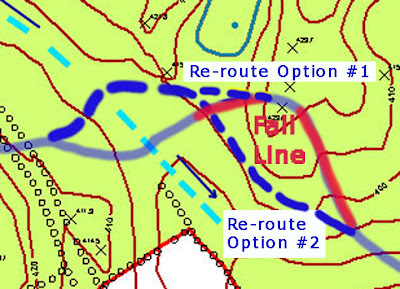 I am planning on a cut through for horses and an up and over for bikes. As you can see, where the armoring will take place it's the narrowest section of the stream. In fact, one big flat rock could bridge it completely. Here is the crossing looking from the opposite direction. The Easter Bunny rides a fixie and dropped off a wheel with a flip flop hub! Both cogs are 16t but I think I have to go with the 42:15 ratio Sheldon recommended for vertical drops. Tried mounting the wheel with the chain on it using a half link but it was just too tight and would not seat completely within the drop. I have a 15t freewheel that I got from the Bicycle Goodie Shop the other day and will test with that. Sounds like something out of a movie from the likes of Animal House or Old School, but seriously folks, the Manchester Community College is actually running a course in Mountain Biking Skills. 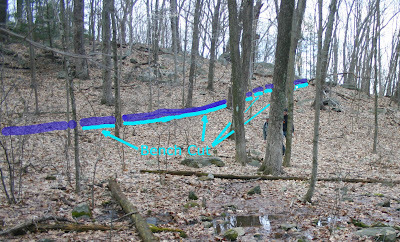 I found a post on one of the Connecticut Mountain Biking forums from someone looking for a skills course! Can you believe there is actually a college course for mountain biking, granted it's a non-credit class, so if you were trying to get that undergrad degree in Underwater Basket Weaving this won't count towards it. 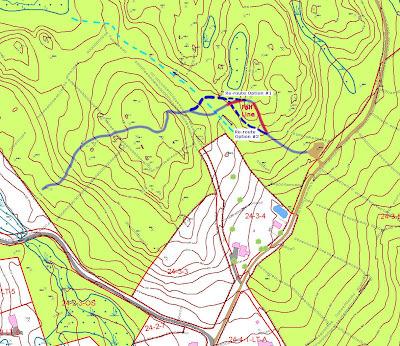 It's kind of fitting, though, that there would be something like this offered because Manchester is next to Case Mountain (haven't been there yet) but from everything that I have read about it seems to be the mecca for riding in Central Connecticut. Essential Mountain Bike Skills (page 34): This informative and instructive course is for both beginning and advanced mountain bike riders. Learn new riding techniques and unlearn bad habits that are holding you back. For beginners, learn correctly the first time, and for advanced riders, continue with your development. This course will cover bicycle and mechanical basics, but the focus will be on bike skills needed to expertly negotiate rocks, logs, corners, and uphills and descents of trails. Students need to bring their own bike and helmet. Please note the rain dates listed below. CRN #11799 2 Saturdays, 5/3-5/10 (two Sundays, 5/4 & 5/11, will serve as rain dates, if necessary), 9 a.m.-noon MCC Bldg. LRC A108 Fee: $40 Instructor: Salem Mazzawy is a professional cross-country and downhill racer with 10 New England championship titles and an equal number of years of instructional experience, including coaching the USA Cycling Junior Olympic Camp. His awards include three Nutmeg Games State Championships and two Connecticut Point Series Championships. Speaking of skills, Paula Burton of CT NEMBA will be running her Girlz Rides at Trumbull again this summer. Check the CT NEMBA website in the next month when the RAW (Ride After Work) ride series is posted. During the prime riding season the Board of Directors, as well as the general membership, lead rides in their favorite areas, after work. Saw somebody looking for a URT frame on Craigslist and decided to let the Dumpgoose go and bring someone else joy and happiness. I was really tempted to turn this bike into a fixie because it's the only full suspension platform that could accomodate a fixed gear because it would maintain perfect chain tension because the cranks are connected to the same frame as the rear axle. That is until someone gave me a great deal on a track wheel for the Cannondale. The person who bought it from me is planning on using the URT section for an extra bike project. Apparently, you can mount the bottom bracket, with some modification in the rear drops of the forward frame and then mount a seat or two along the extended frame like in the example below. Saves a lot of time and effort from taking a hack saw to a hardtail frame. Here is Surly's Big Dummy. I think I would probably want to add some sort of tensioner at the middle drops section but the image below is a good example of how this would work. 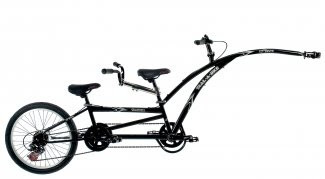 And it would be a lot cheaper than getting a new Adam's Tandem Trail-a-bike which goes for $368 brand new. 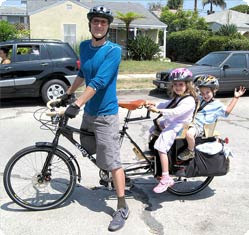 Adam's discontinued the tandem trail-a-bike a few years ago and I am kicking myself that I didn't buy the one I saw on Craigslist a few years ago for something like $275. I could really use one now for riding with Katie and Elliot. Still, I like the idea of a DIY project. Couldn't find any good DIY examples. I will have to keep surfing the web till I find something. One thing I might try is hooking up the trail-a-bike to my Fixation and then connecting the Burley to the Trail-a-bike and see if that works. That way, I could pull the boys and Katie can be the stoker and we could really do some long distance rides. I was about half way down the Upper Gussy today when I came across a hunter! Yikes! I didn't think there was any hunting right now but did you know it was Coyote Season right now? It is and Upper Paugussett is one of the only places in Fairfield County which is actively hunted during every part of the season. Ironically, I have ran into this guy before. Last spring I came across him setting up Turkey decoys along the connector trail and I thought he was too close to houses but he wasn't. He did say, that it was also squirrel season right now but according to the DEP website for the small game season the only animal that is fair game right now are dirt pigs (aka Woodchucks). Brought a hand saw with me on this ride and took care of many eye level branches along the trail. Also opened up the trail through the ROW section just below where I met the hunter. I think I just have to make one more trip through with some loppers and it will be pretty clear! The trail is really starting to come together, at least for bikes. I am sure once the horse people see some of the northern sections they are going to want some go arounds and some alternatives, which is understandable. I don't think horses will like some of the rock gardens I have routed the trail through. I walked the section of the connector trail in which we will have to re-route to get around the bank issue. 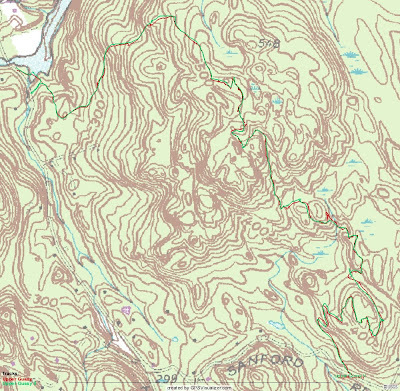 At point #1 above, even though the topo shows water it's actually land. This section of the trail will require a lot of work and I will plan for an April Trail Building Session to address this section. I noticed a few weeks ago this new sign just off Hanover Road, which is located at point #2 on the detail map above. I wonder if this was installed with the permission of DEP or not? The trail leading up this is a really nice example of benching. I will try to get a picture of it on Sunday. Since this all that the sign says, I thought it would fitting to take a picture of the Qball leaning against the sign. I stopped to take some pictures of the wet area off the ROW which I will be putting up a post on the Upper Gussy Blog. Took a nice shot of the Qball in the woods. This bike is a such a pleasure to ride. From here, I got on the ROW and hammered to the Tunnel of Love, which I cleaned handsomely but after turning around and heading back into the forest, I was going kind of slow and hit something on the turn in which sent me down like a sack of potatoes. The Achilles heal of the 29er, poor maneuverability at low speeds. If you said spring, well you'd be partly right but check out this little bugger I found crawling on me this evening after doing some trail maintenace on the Upper Gussy after work. I think this is a deer tick. No point dropping it off at the Newtown Health Dept because they won't check it for Lyme unless it was attached to you. The Trail Ambassador Program is administered by CT NEMBA whereby trained volunteers on mountain bikes would ride on trails through out Connecticut for the purpose of educating, informing, and assisting other trail users. CT NEMBA trains each volunteer in trail etiquette, public relations, basic bicycle repair, and in emergency response (not first aid). Program participants must commit to a minimum of six hours per month, May - September. Although it is not required, Ambassadors are encouraged to patrol in the "off-season". Volunteers also serve as liaisons between trail users and Land Managers. 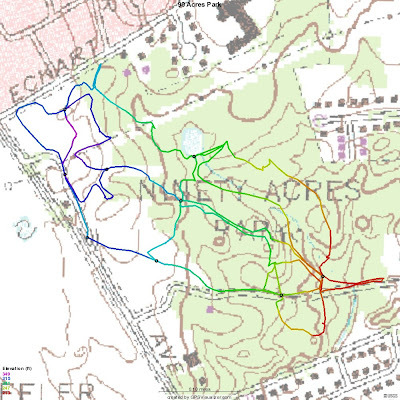 They provide feedback to land managers about trail conditions, trail maintenance needs, and unauthorized activity. The goal of the Trail Ambassador program is to provide an advocate presence on the trail systems open to mountain biking across Connecticut by serving as overall trail guides. The spirit of the Trail Ambassador Program aims to educate, inform, and guide mountain bikers out on the trail. Ambassadors assist other by directing those that may be lost, performing minor bike repairs for trail riders, suggesting points of interest, doing minor trail maintenance such as removing trash or debris from the trails, going for help in an emergency, and educating fellow mountain bikers on how to ride sensitively and responsibly. Ambassadors are issued uniform cycling jerseys, folding saws, bike mulit-tools, and other relevant gear at the end of the training session. Current Trail Ambassadors are not required to attend the annual training, but are encouraged to participate by assisting in the training and orientation of new volunteers. It's a great experience to have newly trained volunteers get to know and interact with the seasoned Trail Ambassadors. 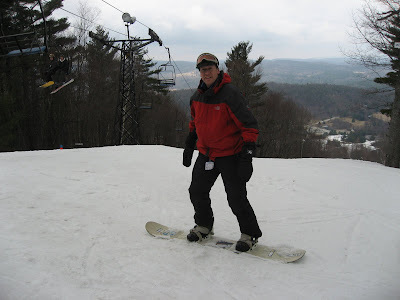 Probably the last day of the season but got out anyway for a half day at Mohawk Mountain in West Cornall. 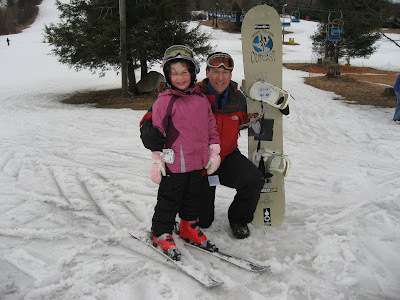 Put Katie in another lesson and my dad and I took a few runs! We were the last ones up the lift for the day. Tren and I met this guy John (above) at 8 AM on Park Avenue in Bridgeport to check out this park that he wants to develop into a Mountain Biking/BMX Ride area and park along the lines of Highbridge Park in NYC. It's a quaint little location that is mostly used by dog walkers as we saw an abundance of people walking their dogs. There are some really nice trails, too, however, they have been ravaged by ATVs. Hate to say this but ATVs (and their drivers, too) are like cockroaches. They get in everywhere and destroy everything. 90 Acres Park has a lots of potential. There are tons of natural stunts. One really nice roller that you can hit both ways, and we saw others that would be even better with a little work. There are some water and run off issues coming from new ball fields that were built on the east side of the park. All in all, this place could be a nice little diamond in the rough for Bridgeport. We had some light rain this morning and it was around 45 degrees and Tren wore shorts. While I am not pictured, I was dressed much more warmly. As you can see the 'Horse is back from Straightline Bikes. They did an awesome job on the tune up. You can't see them but I got a pair of Crank Brothers Mallets the other day from a guy up in Schenectady for $25 and I couldn't believe how much better they are then all the other CB pedals that I have tried. When you clip in, it feels like your whole shoe is welded to the pedal. I felt like I had a lot more power because more of my shoe is was pushing on the pedal. The other think I couldn't believe is how fast I could clip in. Granted, I have been riding in a lot of snow lately and that can slow things down but on these they seem to magically clip in! John's friend Jamie met us a little later with a brand new Giant Reign. We stopped at this intersection in the trail so that he could adjust his pedal and it fell out of the cranks - stripped. I have seen that before. This brandi-new bike, with maybe a dirt mile on it is now kaput! John will be coming to the Trails Workshop in two weeks and we will be working on developing a plan to submit to the City of Bridgeport. This little Piggy went to market and this Pig has been sold! The seller updated his post on Crankfire.com that it was sold but there are no further details. I wonder who the new lucky owner is. When you think about it, it's basically an economical entry into downhilling. Something that I sort of tried on my first time out with the Pig and almost dislocated my shoulder. Scroll down to read about the Pig, or simply click here. RAW stands for Ride After Work. Got out on the Fixation with the new bars and hit the Upper Gussy Trail. I really wanted to ride it from end to end to determine the actual mileage and when you include the section of the Polly Brody, it's 2.7 miles long! Riding the Fixation with this current set up is by far the best, even when I had some squish upfront! It's all in the fork! The bars help, too, because they are pretty wide so you it lowers your center of gravity. Except for blinging it out a little more, I don't think I am going to touch the Fixation. It is here to stay as it is! I ordered three Garmin Edge Mounts from Tiger GPS a couple of weeks ago. The Qball still has on of the first two that I got with the unit. The other one broke in the parking lot at The Hunt. I took a chance and mounted it on the stem and as you see, it rises pretty high off the stem. If I were ever to go OTB, my Edge will suffer. Still, this is most ideal spot for the Edge. 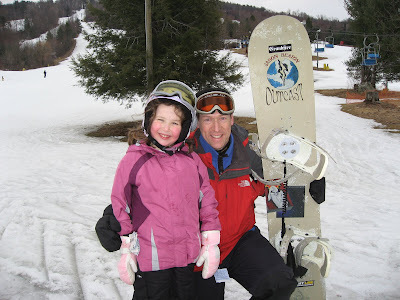 I just have to remember sit further back when I am going down hill. I wasn't planning on doing any work but I ended up doing some more marking and taking a closer look at some sections that might still need some more tweaking. At the end of the ROW I ran into Tom, who on his own, decided take care business with a chainsaw and cut up the blowdowns and the old tree that is blocking the trail route near the end of the forest. And after good ride, what better way to celebrate getting home dirty and sweaty but by opening a nice cold brewskie on the chain tensioner! The Pig is for sale and other interesting items on the CList! 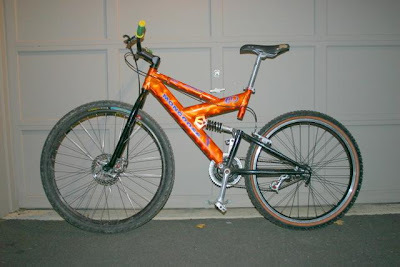 Found this on the Hartford CList and I think it's my bike that I sold in 2006. Looks like it's new owner kept it in really good shape. 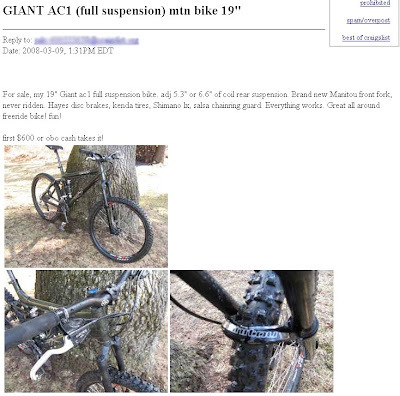 That's a pretty good price for a full suspension, down hill rig that is basically bomb proof. Here is my AC on the 14 mile Cockaponset Ride I did back in 2005. Price Drop! I saw this add last week and I think it was going for $375. 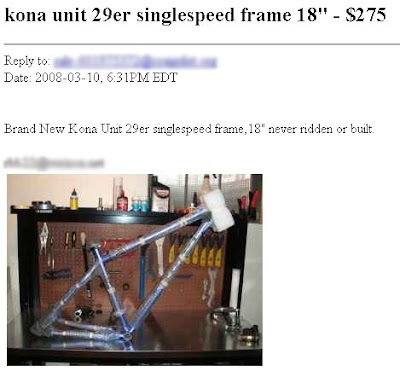 That is very tempting but I really don't need another singlespeed.